These are news posts that pertain to partners that are sponsors or supporters. The New “Playing Field” is a Synergized Field: Game On! When you change the medium, you can change the practices. In the world of communications, Marshall McLuhan said: “The medium is the message” suggesting that the form of the medium embeds itself in the message. As an example of how powerful this can be, the impressionist art movement came about by technological advances in the medium. The invention of oil-based paint and the tin tube, which replaced the pig’s bladder, made it possible for artists to leave their studios and paint scenes of nature knowing that their paint would not dry. This change in the medium led to changes in the practices of creating visual art, and that led to the birth of the impressionist movement. Our communication media shapes what makes our culture unique and defines the limits of what’s possible. We, as global citizens, can now communicate with each other like never before. The question is: have we reached the point that we can adopt and adapt the “smart global connectivity” practices to empower each other to yield extraordinary collective results? Can we now organize and coordinate the work of networks of millions of individuals committed to reinvent the planet and create peace on earth by 2030? Nevertheless, we recognize that organizing to create a more compassionate community and to inspire our neighbors to perform acts of service and kindness is a positive step in the right direction, but it is not sufficient. We need empowered individuals and communities capable of bringing about the large-scale behavior changes required at this time. Incremental change, no matter how well intended, is not enough to address the urgent and imminent threats to our human civilization. We need massive, transformative, personal, local, regional, and global change that will enable us to avoid the crises upon us. 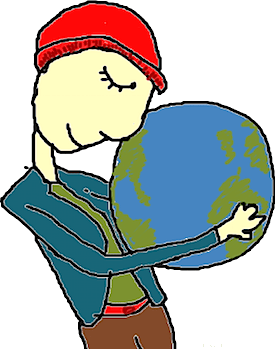 What if “We the Global People” embodied a shared multi-vision, coupled with a well-grounded awareness of our current situation, and specific ways to change and measure our results along the path to a peaceful, sustainable and harmonious world? We’re not suggesting that we can or should all agree on one vision or one great transition story. 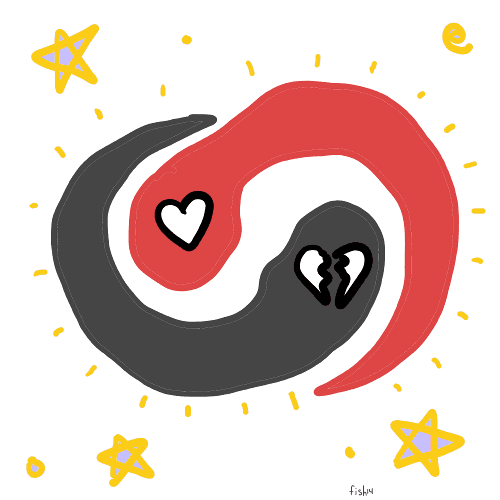 What we envision are deep social networks in which we attune with each other to develop deeper connections and share our different visions and solutions to co-create mutually supportive ways to lift up each other. We can learn to honor and respect each other and listen past our differences. We each have three lineages: our Blood Lines, our Milk Lines, and our Story Lines. Our Milk Lines are those ideas that have fed and nurtured us and shaped how we show up and share with each other. Our Story Lines are the challenges, choices, and outcomes that compose the personal and collective stories of our lives and our times. Creating these deeper social bonds can bring to light the many patterns of change and stories rooted in our cosmos, our history, and our biology. While we connect through our similarities, we can innovate and empower each other through our rich diversities. Our partner New Stories maintains the Great Transition Stories website as a collective resource to learn from and appreciate the power of our archetypal stories and the different roadmaps to know where we are and the guides to how we might move forward. A Global Oneness, encompassing the recognition and participation of the entire Human Family, everywhere, all at once, and exercising wise, respectful, sustainable and harmonious development of our vast global resources. A Global Civilization that blends and embodies the ideals of both the East and the West and the North and the South. Liberated from the curse of war and its miseries and focused on the sustainable and harmonious development of all the available resources of Mother Earth. A Global Commons of cultural and natural resources embracing architectures that empower each of us to create cooperative, distributed, innovative governance structures that are equitable, mutually beneficial, flexible and adaptive. A Global Governance System where Force is the servant of a Justice that is rooted in Love and Compassion and All Life and is sustained by the universal recognition of One Creator. We offer this as one vision of our collective future. There are many. We want to know and share yours. To build this relationship we are co-hosting safe, courageous, and secure environments in which we attune and engage with each other. We are developing a subculture that enables us to thrive while it becomes clear that our dominant society, our “overculture,” is obsolete and failing us. Our large-scale cooperation dilemmas such as terrorism, climate change, and pandemics are no longer best addressed through a nation-state structure. It is up to “We the Global People,” to rise together to address our global challenges. In response to this unique moment, we are co-creating a social change and network exchange platform to empower this collective attunement and uprising. We invite you to collaborate with us in its development and application. 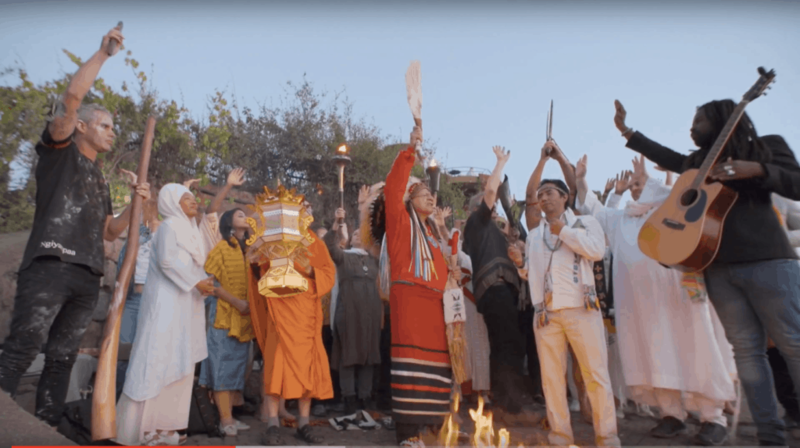 Thanks to the visionary leadership of Unity Earth we were invited to carry the Global Compassion Torch to Ethiopia to converge with The Lamp of Unity from Thailand and the Peace Flame. At the height of the Cold War in 1986, the Peace Flame was carried around the world, in partnership with the United Nations Children’s Fund and directly engaged twenty-five million people and 45 heads-of-state in 62 countries. We have now converged these unifying fires to create a Global Fire of One Love. This Global Fire has fueled our collaboration with David Gershon, founder of the Empowerment Institute and author of Social Change 2.0. David is one of the foremost experts on empowerment and social change, and he introduced us to the founders of Serve Community, and together we are collaborating to create a Social Change Game we call Peace on Earth by 2030. We are designing the game with schools in Santa Barbara, California and Kabul, Afghanistan. The team Hustlers for Humanity organize with the University of California at Santa Barbara. The team at the Marefat High School in Kabul organize with world-renowned teacher Aziz Royesh featured in The Last Thousand. Climate: Empower cities and their citizens in high carbon emitting countries with the agency to implement a second order change solution to climate change. Development: Empower women throughout the developing world with the agency to transform the cycle of poverty and create thriving lives and communities. Peace: Empower humanity with the agency and second order change tools to create peace on earth by 2030. Knowledge: Empower visionary social entrepreneurs with the agency and second order change knowledge to transform the world’s seemingly insoluble problems into the breathtaking opportunities they provide to reinvent the planet. Money: Empower visionary business, philanthropist and grassroots investors with the agency to make second-order change investments that literally change the world. 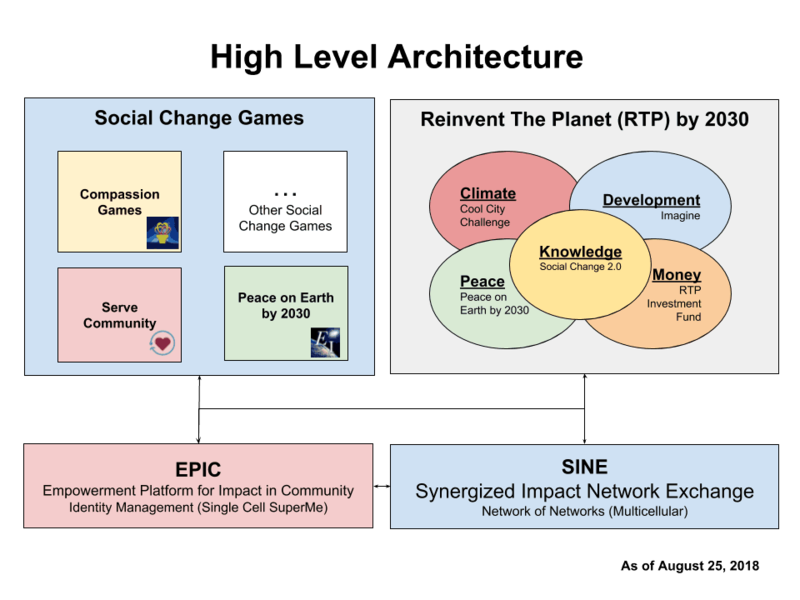 These strategic Social Change Games are built upon EPIC (Empowerment Platform for Impact in Community) and SINE (Synergized Impact Network Exchange). Together these form a multiplayer, distributed, real-time social change game operating system and network exchange platform. By including distributed ledger technology (DLT) this operating system and platform will act as a balance sheet and scoreboard for the World Game of Service. Each EPIC Player creates a SuperMe that serves in communities empowered in their quest to create change for good that results in communities “leveling up” to effectively bring about large-scale behavior change with an initial focus on education, health and wellness, and community impact. The global village is here. We are now in a race with time to find each other and establish the new digital settlements necessary to create the just and lasting changes that we seek. The networks of people and the media we choose to operate in do matter and set the “playing field” that shapes the rules of the games we participate in. A level playing field is balanced and fair and, this is the synergized Playing Field in which EPIC Players are collaborating to create Peace on Earth by 2030 and Reinvent the Planet. “We the Global People” live, learn and work together as one global family in a real-time relationship that is both synchronous and asynchronous, these are two ways of synchronizing and staying connected in a healthy relationship. We highly value the embodied face to face experience and convene on a regular basis at different locations around the world to “throw a better party” and have epic musical, educational and cultural experiences that enrich and expand our lives and our relationships. Discover the U Day Festivals being planned by Unity Earth as part of the Road to 2020. To play in the Compassion Games: Survival of the Kindest go here. 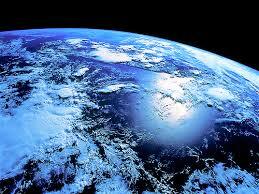 To partner to create Peace on Earth by 2030 go here. 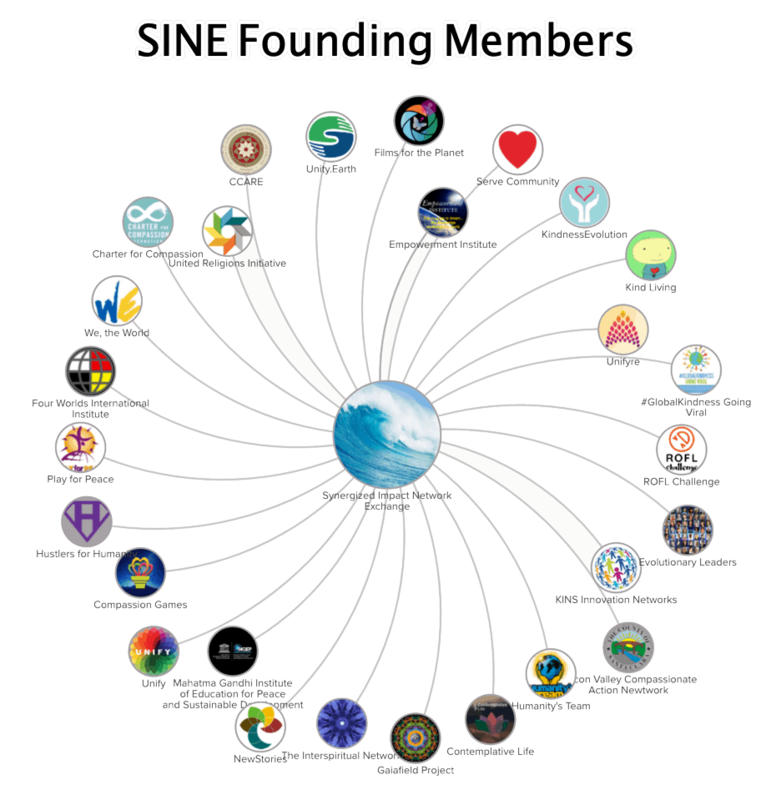 To apply for SINE membership go here. 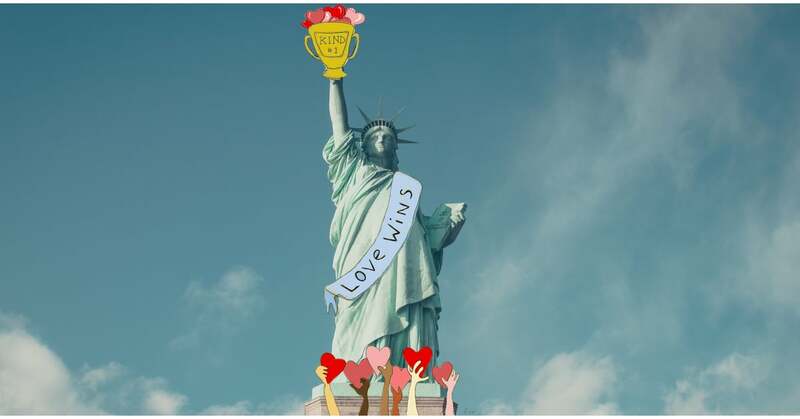 9/11 Day and Compassion Games: Catalyzing More Good Deeds Than Ever! For many people the tragic events of 9/11 changed their lives. Being a proud New Yorker, that was the day that everything changed for me as well. My life as a social entrepreneur – including the birth of the International Campaign for Compassionate Cities and the Compassion Games: Survival of the Kindest – can be linked back to that fateful day. It is therefore a great honor to be partnering with 9/11 Day. It is deeply moving to see the Compassion Games woven into the vision that on 9/11, not only was there an unbelievable tragedy, but there was also an unprecedented level of humanity, caring, and love that emerged and was shared around the world on that day. The goal of 9​/11 Day ​is to keep alive the spirit of unity and compassion that arose in the immediate aftermath of the 9/11 attacks, providing a positive, helpful way for people to annually remember and pay tribute to the 9/11 victims, and honor those that rose in service in response to the attacks. David Paine and his partner Jay Winuk wanted to establish September 11th as a National Day of Service and Remembrance under federal law. “We wanted to create a permanent and positive way for the nation to annually honor all of the victims and heroes of 9/11, in a way that increasingly helps people in need, year after year.” said Winuk. Over the next few years, David and Jay created MyGoodDeed and worked with communities to build participation in the 9/11 National Day of Service and Remembrance, which became known as “9/11 Day,” gradually gaining more and more support for it in the U.S. Congress. Then in 2009 with strong bi-partisan backing, MyGoodDeed, successfully secured passage of federal legislation by the United States Congress, with a subsequent Presidential Proclamation, that officially recognized and established September 11th as a National Day of Service and Remembrance under U.S. law. On August 18th, 2015, Compassion Games International and 9/11 Day announced a strategic partnership with the aim to further amplify, ignite, and catalyze compassionate action in communities around the world. The Compassion Games is a 9/11 Day featured partner and 9/11 Day is a sponsor of the Compassion Games. Read the joint press release here. To help communicate about this relationship and synergies between us, we asked David Paine to answer four questions about our partnership. Compassion Games International (CGI): Why is compassion important to your work? David Paine (DP): In the weeks immediately following the 9/11 attacks, our nation experienced a remarkable period of unity and compassion. It was a real awakening. We stopped worrying about our differences and realized how much we all have in common as human beings. If we truly want to honor those who lost their lives on 9/11 and the many who bravely rose in service in response, we ought to rekindle that spirit of unity and compassion in our country. That’s what 9/11 Day is all about, and why we are so supportive of the Compassion Games. CGI: Why is playing and supporting the Compassion Games a good idea? DP: People by nature are compassionate, but sometimes in the face of our busy society we can get out of practice and see our skills for compassion diminish. 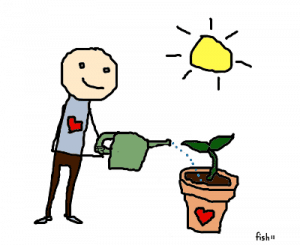 What is so great about the Compassion Games is that it provides tangible ways for people to develop and use those skills again, and helps them become more compassionate throughout the year. CGI: How can people learn more about your work? DP: We invite everyone interested in doing a good deed on 9/11 to visit our website at 911Day.org, watch our video and take the Good Deed Challenge. We also have a national list of volunteer opportunities for 9/11; free lesson plans for teachers, mentors and parents to help them share stories about 9/11 with younger children and teens; and toolkits for employers and organizations. CGI: What is your hope and dream for this year’s annual Compassion Games? DP: I’d love to see millions of people enter the Compassion Games this year, and see what happens to them personally as a result. I’d love to hear their stories! CGI: Thank you, David and Jeff for all your remarkable efforts! You two are clearly pioneering “Champions of Compassion”. The Compassion Games: Survival of the Kindest begins on September 11th and continues through September 21st, the International Day of Peace, and is part of the 11 Days of Global Unity. Visit our website at www.CompassionGames.org. Can it be that hope was born on 9/11? Can we come together in unprecedented compassionate action to demonstrate that we as a people are capable of bringing love and kindness to a world in need? The answer lives in each of us; in our heads, hearts, and hands. Take the 9/11 Good Deed Challenge Here! You Are Invited to the (Free, Online) Global Compassion Summit! The Compassion Games is excited to be partnering with the Shift Network in the first online Global Compassion Summit, and we warmly welcome you to join us! Do you sometimes wonder how you can deal with the suffering in your own life, let alone the suffering of the world? We know it’s easy to get overwhelmed and feel as though there’s nothing you can do to get relief. That’s why we’re looking forward to The Shift Network’s free online Global Compassion Summit, taking place July 7-9, 2015. This special event features leaders in the growing compassion field – including Karen Armstrong, Congressman Tim Ryan, Matthieu Ricard, Roshi Joan Halifax, Dr. James Doty, Kristin Neff, Dacher Keltner, and others – all respected experts who illustrate that through compassion, you can be with suffering – your own and others’ – with kindness, grace and a little playfulness. The Global Compassion Summit (GCS) is part of the 4th annual Summer of Peace, a 3-month series that celebrates collective peace efforts and leaders creating a culture of peace. When you sign up for GCS, you’ll also have the option to register for all of The Summer of Peace offerings for free. Featured peace-builders for the Summer of Peace include Deepak Chopra, Jane Goodall, Archbishop Desmond Tutu and His Holiness the 14th Dalai Lama. The Summer of Peace includes the September Annual Global Compassion Games coopetition, taking place from 9/11, a National Day of Service to 9/21, the International Day of Peace. The eleven days of service and compassion are known as the 11 Days of Global Unity, and in them we aim to inspire compassionate action toward ourselves, others, and the Earth in communities around the world. Learn more about the 2015 Annual Global Compassion Games here! With this inaugural online compassion event, you’ll discover profound insights, the latest neuroscience and practical skills from trusted researchers and inspiring educators. To learn more and be a part of this incredible online event, click here. During the summit, you’ll learn how to cultivate love and compassion for yourself, for your loved ones, for strangers and even perceived enemies. You’ll learn to recognize our shared common humanity and move from judgment to compassion and connection – and experience greater love, acceptance and peace in your relationships. The Summer of Peace is bringing together tens of thousands of global citizens who, like you, yearn for a more peaceful way of life for all. From personal to planetary issues, together, we will acknowledge, celebrate and accelerate the wave of peacebuilding that has been growing across the globe. You’ll find ways to participate in the compassion movement, and in doing so, help accelerate the shift to a more playful and peaceful planet! Register for this life-affirming summit now – and get ready to transform suffering in your heart, your relationships and the world. We surely can’t complain about the mystery and thrill of being alive. Yet, regardless of one’s walk of life, it just isn’t easy being human. Like the tilted spinning of the Earth traveling through the Milky Way, having balance in one moment does not necessarily mean we will have it in the next. Life is messy. We are each challenged by the struggles of maintaining harmony in our relationships, by the incessant demand of finances and making a living, and of nurturing the physical and mental health of ourselves and those we love. We each desire meaning, belonging, and purpose in our lives. These challenges in life, in their various forms and magnitudes, are a given. It is how we respond – not react – to life’s challenges that truly matter, transmuting them into all the more reason to love harder and be more compassionate toward others and toward ourselves, knowing we all suffer in one way or another. Unfortunately, this is far easier to say and know than to do. Which is perhaps why thousands of people flocked like weary birds to Seattle Center on May 9th, to receive a drink of the cool, spring water that is the presence and teachings of His Holiness the 17th Karmapa, Ogyen Trinley Dorje. He is, after all, a shining example of compassion and love in a tumultuous world. What we got, however, was something far different than expected. Something, I believe, that was far better. First of all, His Holiness had a cold, leaving him visibly and admittedly drained. To top this off, Seattle was the last stop on his journey of events over the course of two months, which was extremely exhausting in itself. Buddha or not, I thought, the Karmapa is human. This lesson, which had only just begun, was the greatest gift he could have given us. Here was a moment for us to have deep compassion for him. Curiously and unexpectedly, it wasn’t the last. After forty-five minutes of his teachings about compassion from the Kagyu Buddhist tradition, a young panel of change-makers sat on stage with the Karmapa and asked him, each in turn, some very difficult questions. It was an astonishing revelation, I think, for all of us. Quite simply, the Karmapa didn’t experience much of what it was like to simply play, to have fun. This appears to be a common issue for everyday people and change-makers alike. We often feel guilty regarding the moments of joy in our lives when we know there is so much suffering in the world. Yet, play is an essential human need that allows us to connect with one another, building authentic relationships that can lead to sustainable action rooted in compassion. When we don’t take time to honor what is good and beautiful in life, we burn out. We lose our sense of wholeness. We actually become less effective at making positive change happen. 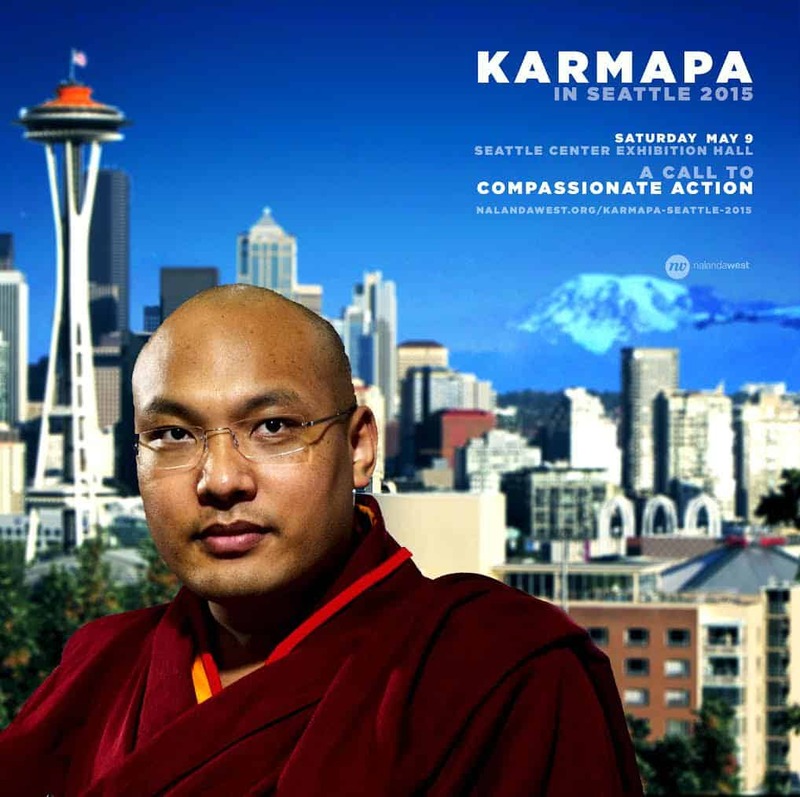 It is actually this concern that lead to us being invited to the event with the Karmapa at Seattle Center, to represent the Compassion Games and teach attendees about it. The Compassion Games are a social tool designed to ignite, amplify, and catalyze compassionate action in communities around the world. By infusing the power of playfulness and compassion with the fun of friendly competition, the Games offer a unique way to strive together to serve each other, our own personal well-being, and the Earth. Experiencing the challenges that nonprofits face with finding financial support to grow and scale, the struggle can sometimes lead us to doubt the importance of play and the idea that you can use play to build the capacity of communities to be more compassionate. As we are currently fundraising to expand the Games to respond to a growing demand, this weighed heavily on our team’s hearts that evening. Yet, once we began to speak with people about the Games, most people went from curiosity or confusion to an understanding grin on their face. “Team Seattle needs your help!” we would say humorously with feigned exacerbation. 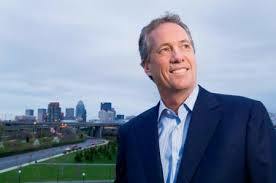 “The Mayor of Louisville said they were the most compassionate city in the world and would be so until proven otherwise! In fact, he said they were so compassionate they would come here and help us beat them!” At that point, most people usually laughed and wanted to learn more. Obviously, no one can lose the Compassion Games, though they seem to tap into an innate human desire to want to play together, to do the heavy lifting in the world with a lighter heart. By doing so, the Games can help raise the capacity of compassion in our lives and our communities in ways we otherwise wouldn’t feel inspired, or believe were possible, to do. This may be why the Compassion Games worked so well in a women’s prison, where for the first time ever there were eleven days of no violence while the Games were played. Or why they are so excitingly received in educational settings, where children can “cooperate to compete” to make their schools safer and warmer places to learn, and to experience compassion first hand. As an organization that aimed to use friendly competition as a kind of “culture hack” to get people excited about making a difference (the latin root for competition – “competere” – means “to strive together”), this question made our hearts skip a beat. Our team looked at each other with playfully worried smiles, holding our breath as we anticipated what would come next. Depending on his answer, we would either proudly stay, or try to make a break for it before mobs of outraged compassion-seekers descended on us. The moderator asked if it was okay to inverse the question. He asked, “So, can I ask the Karmapa if competition can be used in a way that is positive, as a way to make positive social change?” The young woman, once again, reiterated her original question regarding competition’s more negative side, how it enhances social ills rather than alleviates them. All at once, we let our breaths out in a sigh of relief and laughed; there wouldn’t be any compassion mobs coming for us today. As it turns out, even the Karmapa believed that friendly competition could be used as a social force for good. We were grateful that His Holiness the 17th Karmapa shared with us his down-to-earth human side. It allowed us, I believe, to see ourselves in him, not as an idol or state of perfection that we are not, but as a person like the rest of us. It made room for greater compassion toward ourselves in our own hardships, mishaps, and imperfections. 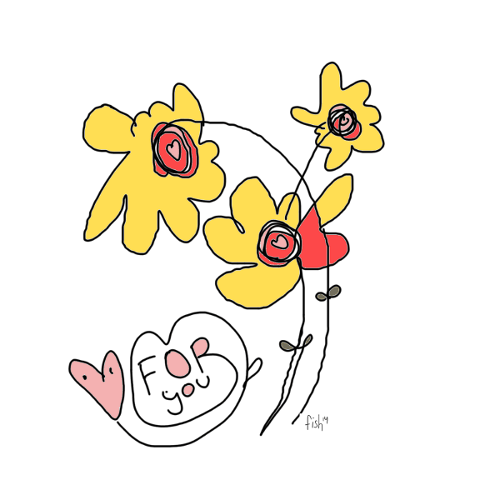 Life is full of them, that’s for certain, but it’s easier to know that we are in them together, that even our suffering profoundly connects us all. As for play and having fun: may we all enjoy the gifts that life has to offer us more often, not as an escape, but as a celebration to rejuvenate our spirits. And may the Compassion Games touch countless more lives by reminding us how to change the world by having fun, by reminding us of the child within us all. We each desire to see the world become a more kind, safe, and loving place. It is much more rewarding when we do this together. “In our broken world it is easy to become overwhelmed with grief and despair culminating in our inability to move forward. Each of us has been given a purpose in life, a reason for being. Each of us carries within a caring heart and a mind filled with ideas. What happens when you combine the Interfaith world, comprised of grassroots interfaith organizations large and small, places of worship and interfaith leaders together with the Compassion Games? You get a lot of important work accomplished. While we often think of interfaith work to mean breakthrough dialogues, educational programs, service to the community and all efforts that we can do better together than apart, the Compassion Games invites one more dynamic. It’s a dynamic that infuses trust and creativity, allowing curiosity to replace hesitancy and fear. It’s a place within ourselves where possibilities spring forth in our hearts in ways that can accomplish the seemingly impossible. What we speak of is the essence of what it means to play. When we play together, we come from a place of joy and wonderment. Play calls us to challenge one another to be the best versions of ourselves and of our faith, doing so in a way that is natural and nonthreatening, inviting, rewarding, and even fun. After 15 years of interfaith community building – which includes dialogue and panel discussions, programs that honor our commonalities and celebrates our diversity, and especially an annual weekend of community service – I had never experienced more enthusiasm as when we introduced the Compassion Games to our already existing efforts. 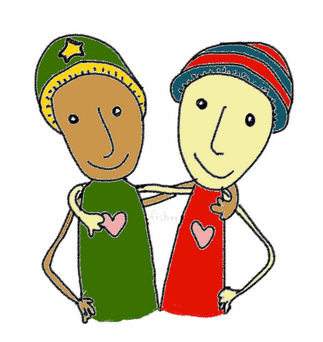 The Compassion Games utilizes the best of human nature – the innate desire to learn, to play, to be loving and kind, to serve, and to connect with one another. We become inspired to push a little farther, move a little deeper, and reach a little higher as a natural result of working together in community for a common purpose and goal, and in the spirit of play. Yet the dynamic of play accomplishes more than to provide an environment for the spontaneous arising of awe and wonder. When we are in the natural spirit of playfulness, we forget the false perceptions of separation from others that we so often hold in our thoughts. A great remembering takes place as well, as we remember who we truly are. 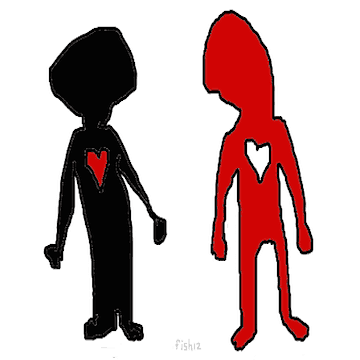 We reawaken within our own hearts that we are One Human Family. 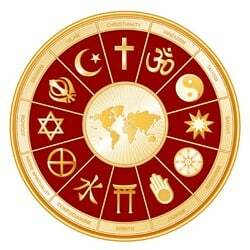 We remember that we need one another to be the best versions of ourselves and the best examples of each of our unique faith and non-faith traditions. It’s time for us to do it together! Ebola is certainly in the news and everyone is having to respond to this terrifying threat. The 2014 Compassion Games team known as “Fearless” are living up to their name. After hearing about a fundraising effort on The Shift Network’s Summer of Peace program, they decided to raise funds to support education and outreach in response to the recent Ebola breakout in West Africa. The “Alliance for the Earth” initiative is a part of the Liberia Peacebuilding Project, an organization helping the people cope with the Ebola crisis. The funds were donated to the Foundation for West Africa which supports Sierra Leone’s Independent Radio Network and Radio Moa 105.5 FM, a community-owned radio station in Kailhaun, Eastern Sierra Leone. 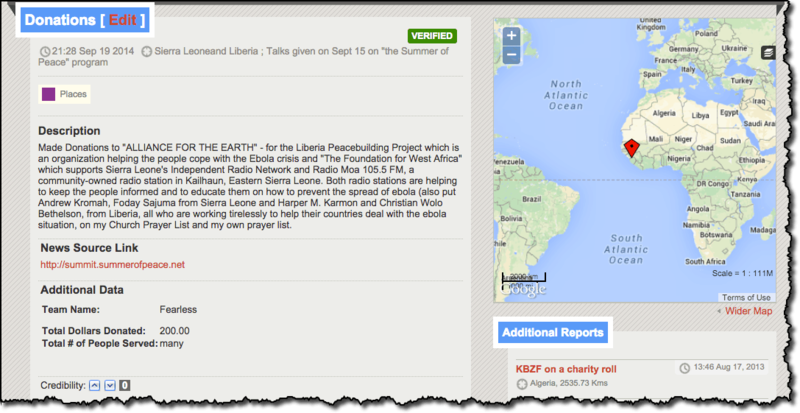 Both radio stations are helping to keep the people informed and to educate them on how to prevent the spread of ebola. The Compassion Games also inspired compassionate contemplation, so Fearless team members also put Andrew Kromah, Foday Sajuma from Sierra Leone, Harper M. Karmon and Christian Wolo Bethelson from Liberia; all who are working tirelessly to help their countries deal with the ebola situation on church and personal prayer lists. Here’s a great example of how the inspiration of the games can be brought to bear on pressing social challenges that we are facing. Above is the report submitted to the Compassion Report Map. Ta Da!! We have updated the 2014 Leaderboard with the numbers for this years games. We’ve gone through every report that was submitted for every day of the Games. Although the whole spirit of the Compassion Games is playful and fun, we take your efforts to report on your acts of compassion seriously. Of course, whoever played in the games and did or didn’t report was a winner, and with that said let’s get into the numbers. We introduced hashtags this year as a way to apply a common name across all website and social media platforms. In the process of reviewing the reports we made our best efforts to identify reports and associate them with the teams they belong to. Everyone didn’t use the same team name or #hashtag name to refer to a particular team. We did our best to cross reference and connect team wherever possible. There were people who submitted reports with team names (or #hashtag) but didn’t put in any numbers. In these cases, at a minimum we put in “one volunteer and one person served” logic, being that the act of reporting was an act of service and the person reporting was served in the process. We made other revisions if it was obvious what the missing numbers should be. This was straightforward. We just counted what people reported. We may not be accountants, but this was an easy one. Some people reported an act of compassion that lasted 10 seconds, and others reported actions that will last for infinity. We did allow for fractions up to a quarter of an hour. Did I mention we are not accountants? We did our best! This was straightforward. We just added up the amounts. This is the most objective number of them all. This says a lot about the reporter. We left the numbers as they were reported. In some cases people’s compassionate act reached thousands and even millions of people. Who can disagree with that? I sure hope it’s true. Other people were quite conservative in reporting on how many people were served. I remember last year someone said that their meditations were reaching all sentient beings for all-time! I believe that’s true, but that’s me! We saw that there was an enormous amount of food raised and we didn’t have an easy way to count that. We need a column titled “Priceless”! There are also groups of players that self-organized to form a team and never officially signed up but played and reported as a team. This is very cool! And then there were the amazing reports themselves. 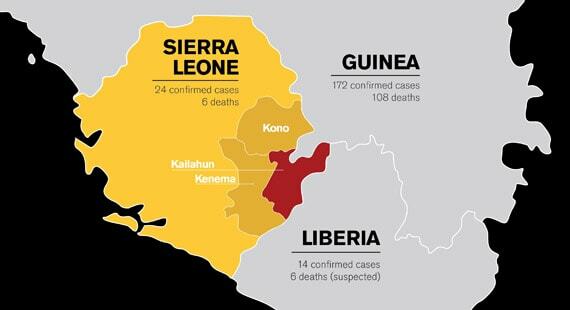 For example; check out the report on what was done in Sierra Leone where $200 was raised to get the word out and keep people informed about how to prevent the spread of Ebola. Or did you see the team that planted hundreds of pink flamingos in their neighbor’s yard to raise awareness and money for building homes in Guatemala? And of course, we hope you heard that the inmates in the California Institution for Women prison were playing for a second year, beating their personal best of 4600 points last year by exceeding their goal of 10,000 points this year! The stories go on and on. It is humbling and inspiring to see what we’re capable of when we come together to give of ourselves in creative ways seeking to play with compassion! Year-round Keep the Compassion Games alive in your life and in your community! Keep the reports coming and contribute to our Compassion Games International Facebook page. Keep the creativity flowing and broadcasted! Compassion shared is compassion multiplied! Wow! 2014 Games Are Behind Us, Now it’s Time to Celebrate and Share! Wow, what an amazing closing day for this years breakthrough Compassion Games: Survival of the Kindest! As you know there were convenings happening all over the globe celebrating a world of connected communities. There were hundreds of thousands of people out in the streets in New York City for the People’s Climate March as well as thousands of gatherings in solidarity with the March, and around the world people were also celebrating the International Day of Peace and the last day of the Compassion Games. It was a day when the world gave voice to the concerns and dreams we share about our future. No one can comprehend the impact of yesterday and I don’t think we’ll ever have a day like yesterday again. Or will we? This year’s Compassion Games were a breakthrough and we broke lots of new ground; we organized into leagues of teams that can now prepare and train all year round, we introduced new games like “Drive With Compassion” and “Compassion All-Stars“, and launched the “Sun Up Our Sanctuaries Compassion Games Solar Challenge” which will run to the end of next year’s games, as well as over a thousand people acting as Secret Agents of Compassion. 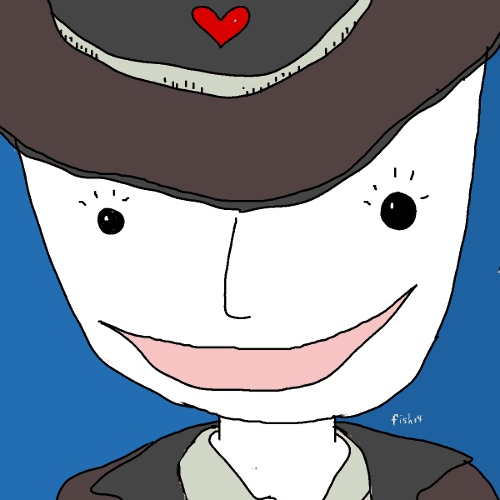 We heard the first Compassion Games theme song thanks to Dina Rae Capitano, got to download the Compassion Today! app developed by Dr. Lesa Walker, and of course all the power of self-organizing and inspiring teams making contributions like the #CreativeDeed project. Clearly we are all Compassion Games champions! While we are overjoyed with the dramatic increase in participation, what really inspires us is what people are doing and the stories they’re sharing. Thank you to those of you who took great care and time to share your experiences with us on the Report Map. We know you are all in it, not for the points, but to help heal, inspire, make your home, community, world save, kinder, more just places to live. We also know those points are important too! We will do a thorough review and report on what the 2014 games has contributed to our Compassion Games movement. We know the games are a catalyst for collaboration and we look forward to strengthening and expanding what is emerging. For now we wanted to clarify the timing and encourage everyone to submit whatever reports they choose to. We encourage people to keep reporting on the compassion map in the days and weeks and months to come. But, for reports to be counted and tallied on the leaderboard for this years games the reports must be submitted by midnight Wednesday PDT. We will review and tally them and our goal is to have the final numbers by 5 PM Friday. We recently wrote a piece about the leaderboard and why we think it’s important. You can read that piece here. Remember no one can lose the compassion games and the more people play the more people win! That’s why this is so worth the time and effort to organize. Thank you so much for making the 2014 Compassion Games a great success! All life is interconnected: birthed from the same great beginning of impossible origins, you, everyone you know, and everything you’ve ever loved or experienced was forged in the living hearts of dying stars. Many of our ancient ancestors knew this to be the fundamental truth of all existence, the delicate balance and interdependent nature of all life, and lived their lives in this wisdom. Though we have gained much from our technological and scientific advances in modern times, this knowledge has now become the crying call of science as our most recent discoveries light the way back to the wisdom of our ancient past, pleading for all of humanity to awaken to our responsibility of taking care of this precious planet and all living creatures. The ultimate Compassion Game is undoubtedly having compassion for the one home we have ever known, from which all life depends and originates: our Mother Earth. This is why Compassionistas and Earth Warriors from the Pacific Northwest are forming an unprecedented coalition to protect the land and waters they hold sacred. They are called the Nawtsamaat Alliance. 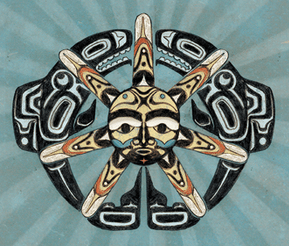 The Nawt-sa-maat Alliance is an empowered coalition of Coast Salish Indigenous Peoples, environmental, interfaith, and youth activists, and impassioned community members who love the land and waters of the Salish Sea and call it home. Nestled in the heart of the Pacific Northwest and ranging from Washington State to British Columbia, the Alliance was created to heighten awareness of the increased risks and threats to their beautiful region by a fossil fuel industry that continues to exploit and destroy it. The Alliance mobilizes international, cross-cultural, and co-creative joint action to block fossil fuel projects such as the proposed Kinder Morgan Trans Mountain Pipeline Expansion in British Columbia, as well as oil trains, coal trains, oil tankers, ports and other pipelines. They are calling for unprecedented unified action to protect and restore the Salish Sea and the communities surrounding it. 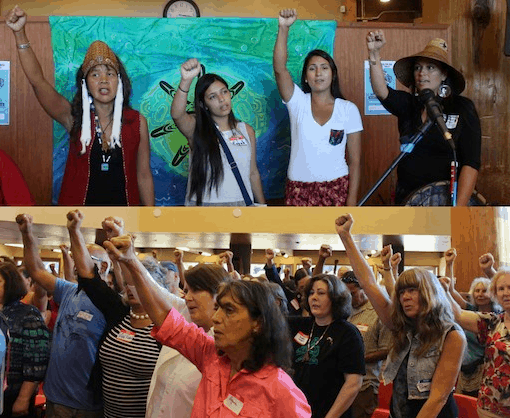 The 4 Days of Action will catalyze the Alliance’s effort to raise awareness on a multi-national scale about the increasingly devastating effects of the coal and oil industry’s presence in the Salish Sea region. At this moment, coal and oil companies are intending to transform the Pacific Northwest into a fossil fuel corridor in order to boost their profits and run oversea economies. A proposed extraction point for a new coal terminal at Lummi Nation’s Cherry Point would remove an unprecedented amount of coal from the land, and is a Sacred burial ground site for the Lummi people. Another such project – the Kinder Morgan Trans Mountain pipeline expansion – would increase oil tanker traffic through the Salish Sea from 4 to 35 oil tankers per month, (moving more earth than the size of Texas from the Alberta Tar Sands) carrying the proprietary bitumen of crude tar sands oil, each tanker three times larger than the size of Exxon Valdez, a famous tanker that spilled in Alaskan waters in 1989 and has still not fully recovered. They plan to carry this oil through the Hecate Strait, the fourth most dangerous water channel in the world. Just one oil spill would be enough to devastate the already diminishing and fragile ecosystem of the Salish Sea, and it is highly probable that such an event would occur. The international effects would be catastrophic. Major events or the 4 Days of Action include the Internationally Rally, “Climate Change Knows No Borders: Defense of the Salish Sea is Without Boundaries” happening on September 20th in solidarity with the NYC People’s Climate March, and the signing of the International Treaty to Protect the Sacredness of the Salish Sea from September 21st to the 22nd. A powerful photo taken by Seattle Weekly at the Gathering. 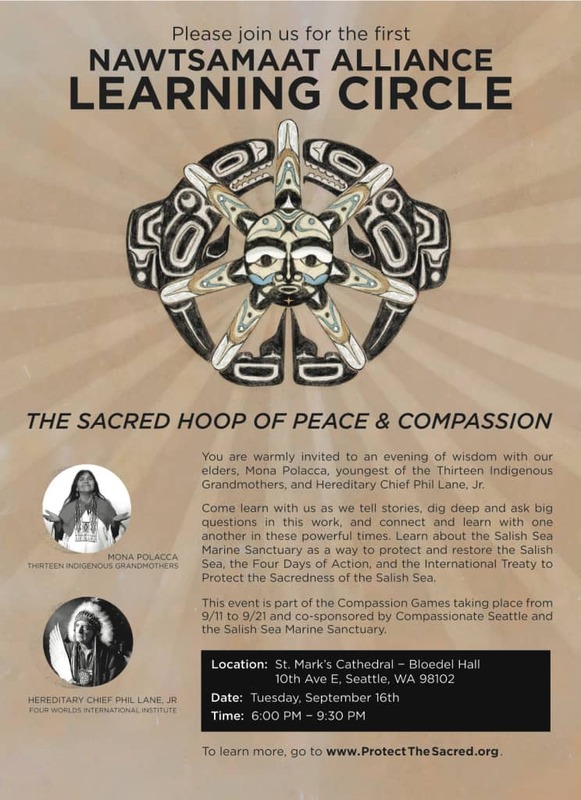 The Nawtsamaat Alliance is hosting its first Learning Circle in Seattle on Tuesday, September 16th, at 6pm, called “The Sacred Hoop of Peace and Compassion.” Very special guests include Mona Polacca, youngest of the International Council of the Thirteen Indigenous Grandmothers, and Hereditary Chief Phil Lane Jr. of Four Worlds International Institute. Join them for a night of elder wisdom: enjoy story telling, ask the big questions, and learn more about the Alliance and Salish Sea Marine Sanctuary. All members of the human family are warmly invited!